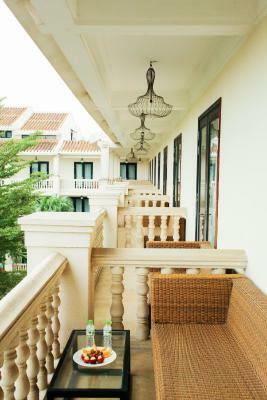 Lock in a great price for Thanh Binh Riverside Hoi An – rated 8.4 by recent guests! 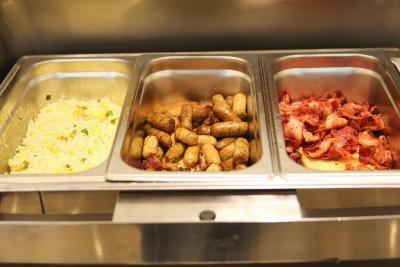 It was clean, staff was very friendly and helpful. We were upgraded and our room was great. The bed, the breakfast and the hotel’s location were decent. The swimming pool was big enough even for adults. Rooms were spacious. Property is in the perfect location. Walking distance to everything you need in Hanoi. 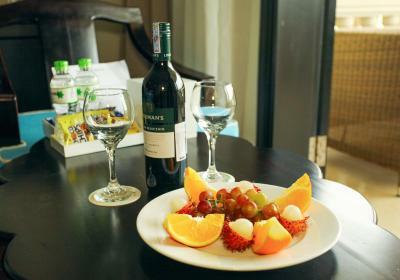 Rooms and hotel are all modern with modern facilities. Very good location with 5 min walk to ancient Hoi An city. Spacious rooms and toilet. Beautiful swimming pool, balcony. Very good place to stay and relax. Great location on edge of historic district, and reasonable price. Friendly, helpful staff, going out of their way to help. Large room with nice balcony (it was too hot to sit out there for me). Good A/C and internet. Made to order egg station if you like that. The hotel is only a 100 meter from the heart of Hoi An old city and only a short walking distance from all the restaurants, bars and night market. our room was spacious, quiet and comfortable. a big plus for the bathtub. Breakfast was fresh and rich. English speaking staff were always happy to help with any issue. The property was convenient and great location. The rooms were spacious & clean. Breakfast was super nice. Polite and helpful staff. Thanh Binh Riverside Hoi An This rating is a reflection of how the property compares to the industry standard when it comes to price, facilities and services available. It's based on a self-evaluation by the property. Use this rating to help choose your stay! One of our top picks in Hoi An.Featuring an outdoor swimming pool and a terrace with lounge chairs and sun umbrellas, Thanh Binh Riverside Hoi An is on the banks of the River Thu Bon. Free Wi-Fi is available throughout the property. Guests can enjoy a 24-hour front desk and a free business center. A tour desk, with information on the main tourist sites, is also available. With a garden or river-view balcony, the air-conditioned rooms all feature hardwood floors and a satellite LCD TV with cable channels. Each has a private bathroom with free toiletries. 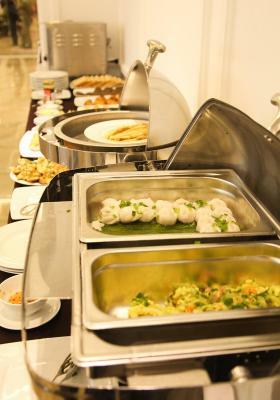 The restaurant serves Vietnamese specialties, as well as international cuisine. 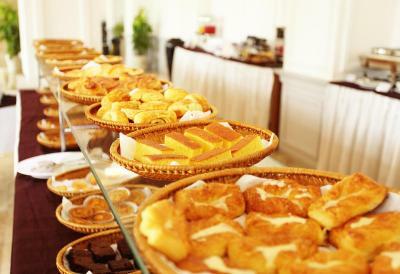 Guests can enjoy a breakfast at the restaurant every morning. The Hoi An Centre is 650 feet from the Thanh Binh Riverside Hoi An. The public beach of Cua Dai is 3 miles away. 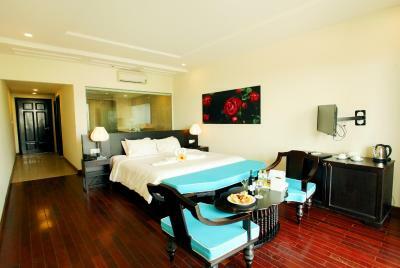 When would you like to stay at Thanh Binh Riverside Hoi An? With a garden-view balcony, this air-conditioned room comes with air conditioning, wooden floors and a satellite LCD TV with cable channels. The private bathroom is equipped with free toiletries. Room rate for 31/12/2015 is has already included compulsory dinner. With a river view-view balcony, this air-conditioned room includes air conditioning, hardwood floors and a satellite LCD TV with cable channels. The private bathroom comes with free toiletries. This double room has a balcony with pool and river views, mini-bar and cable TV. This twin room features a balcony, mini-bar and cable TV. Hotel surroundings – This neighborhood is a great choice for travelers interested in culture, atmosphere and old-town exploration – Check location Excellent location – show map Guests loved walking around the neighborhood! House Rules Thanh Binh Riverside Hoi An takes special requests – add in the next step! Any additional older children or adults are charged VND 23 per night for extra beds. Thanh Binh Riverside Hoi An accepts these cards and reserves the right to temporarily hold an amount prior to arrival. 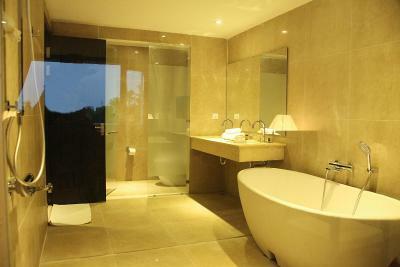 the room was spacial and had nice looking bathroom. Nice clean big pool to relax and order drinks by the pool. Friendly staff and good location. The bed side lamps were broken with wires hanging out. 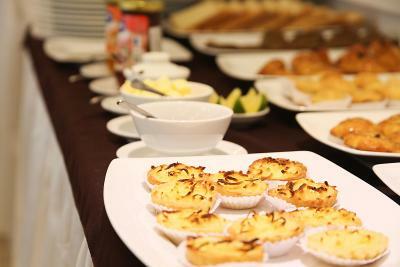 The breakfast was nice but perhaps a few less things done at a higher quality would be better. Bikes weren't free where most hotels bikes were. Nice breakfast, lovely pool and staff, calm and quiet but only a 2 minute walk from Ancient town. Great value for money! Location was slightly annoying with the Hoi An Old Town ticket booth, however you quickly realise many ways around it with the help from reception staff. Great service from reception staff. Clean and tidy room with very adequate bathroom with 2 sinks. Price was reasonable. Housekeeping daily. Good breakfast. Easy rentable bicycles and scooters out the front. Seem like they did Check-out for their first time. Totally no clue of how many days and what we took from the minibar. They even called the taxidriver on our way to the airport to charge us extra for things the housekeeping did not re-fill. Oh, at 7.00 you can expect the cleaning ladies to wake you up by chatting in the hallway...other than that, awesome view from balcony, comfy beds, wine in the minibar, ok wifi. Cleaning started awesome the first 2 days, the last 2 they did not even try( maybe we should have left some tips for upholding the standard?) Would recommed and stay again but will make sure I keep records of our minibar intake and bring hearplugs. Todo en general y la piscina exterior. The maintenance of the property needs addressing. The pool ladders are missing steps and are very loose. There are no towel rails to hang up wet bathers or towels once they are used. The overall feeling was dirty, unkept and lack of management. You walk into the lobby and there’s trash and boxes and dirty flip flops (that were never moved during my three-day stay). The staff was napping or lounging around, and at night they slept on the dinning room’s floor (?!) or on the couches or chairs. The room was dirty. Everything looked torn, worn and dirty, actually (including the staff’s uniforms). Too bad I got sick, otherwise I wouldn’t have spent a single waking moment at the hotel. Wouldn’t recommend.